Yes, I have been to Lakshman Sagar Heritage Luxury Hotel in Pali Rajasthan earlier, but that was a short visit and I could not fulfill one of my wishlists on that visit to Lakshman Sagar. I wanted to click the stone-cut pool, next to the Zanana Mahal of Lakshman Sagar. I had a feeling that the Zanana Mahal ( Palace for the Royal Ladies ) will look really good against a billion stars in the background. But when I was first there due to many reasons ( though I was up all night ) I could not compose the images properly and the efforts were wasted. 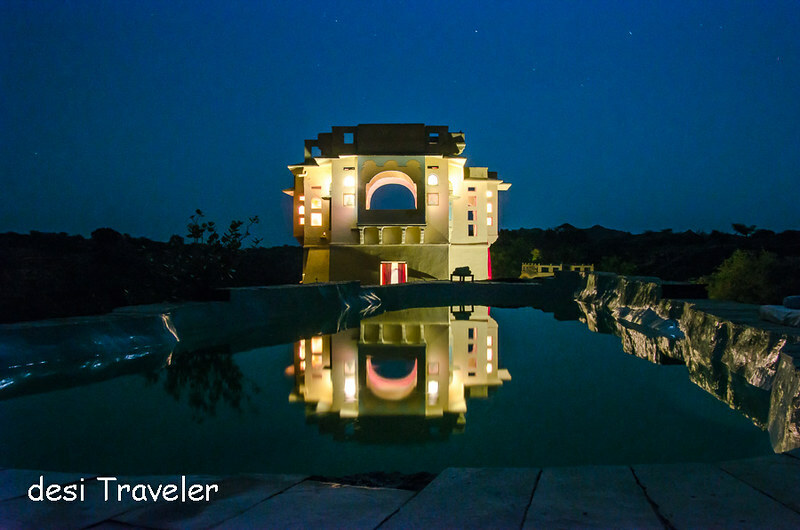 So I decided to visit the Lakshman Sagar once again and this time I specially requested the management of this luxurious heritage hotel to book us during the dark phase of the moon. Here is a bit of Googled Gyan I learned besides watching Star Trek and Star Wars and a few other science channels that there are more galaxies in the Universe than there are grains of sand on all the beaches on earth combined. That is a lot of galaxies mind you and each of these billions upon billions of Galaxies has billions upon billions of stars in each one of them. 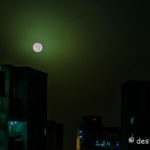 So that is a lot of stars out there but in our super polluted cities due to particulate matter in the atmosphere and city lights, we cannot see stars on most nights. But the moment you move out of the city in places that do not have too much of light or air pollution you can see a billion stars twinkling in the sky, no matter where you look and if you are lucky you may even see our own Galaxy, whose part is our own Sun. So on a cold January afternoon, we arrived at Lakshman Sagar and enjoyed their exemplary hospitality and started composing our shots. The first set of images we decided to take was of the stone-cut pool of Lakshman Sagar. I say a set of images as when you want to click a billion stars and convert them into star trails you need to literally take 100 + images and then put them together in a software. Let me explain the concept of star trails and how to click start trails in as desi way as possible. What are Star trails & How to click Star Trails? As the earth moves around its axis and along the orbit, around sun your position relative to the stars in skies keeps on changing constantly. As it happens at a distance and you rarely pay attention to the same. But if you fix your camera on a tripod at one place and take a long exposure, or multiple exposures and combine them in post processing then you can observe the movement of star trails like you see in these pictures. As you cannot see the star trails with your eyes but only in the images after processing they make for breathtaking pictures if done correctly. As the slow movement of the stars relative to earth’s movement is combined in a single image you can see circular motion captured and appearing as concentric circles of light in the sky. Now you may wonder why you cannot see the stars in cities, the answer lies in the pollution caused by not only smoke & dust but also bright lights all around you. Just as you cannot see stars during the day due to strong light from Sun, similarly you cannot see stars in city skies due to light pollution. You need a dark sky devoid of not only light pollution but the moon also should not be strong, a cloudless moonless night is the best. Why Cloudless sky you may ask? Because when you want to combine 100s of pictures on a cloudy night your pictures will get cloud movement and you will not get clear star trails. 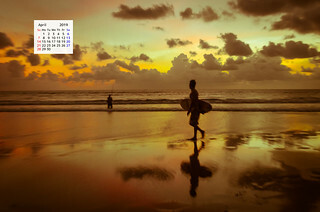 Do a recce visit to the place you want to click beforehand and make sure it is safe and try to compose your shot. It is a good idea to know where the geographical north is as if you point your camera towards Pole star you get perfectly concentric star trails. Now make sure your camera is in manual mode and once you have composed the shot click a minimum of 60 shots ( you can do more or less and the star trails will come dense or sparse accordingly ). I normally keep my shutter speed at 30 seconds as it gives me bright enough exposure even on completely moonless nights. You can also do a single exposure of whatever time you want using bulb mode on your DSLR. But I have been told that it may harm the sensor so I do multiple exposures. The advantage of single really long exposure is that you do not have to stitch images in post-processing software to combine them in one image. But then you have the risk of damaging the camera sensor. So if you are in this for the long haul I suggest you take multiple images. Most IMPORTANT: Make sure you are using a sturdy tripod as you will be taking images in long exposure and the only way to prevent camera shake is a sturdy tripod. Set up your camera in manual mode and autofocus. Make sure you focus your camera on a distant object like a bright star. Keep your aperture as wide as possible preferably around f -2.8. Then take multiple shots anywhere between 100-200 pictures depending on how continuous you want the star trails. Each exposure can be up to 30 seconds. You can also take one long exposure if you are using an intervalometer with camera in bulb mode. But I would suggest you take multiple long exposures so that your camera sensor does not heat up. Once you have clicked the number of images you wanted to click you need to process them in Lightroom to ensure same brightness level etc. and then stitch them together in a specialized software. There are many a software available to process Star Trails but I used StarStax as it is a freeware for Mac, Windows & Linux. I cannot thank enough the founder of StarStax Markus Enzweiler for this wonderful software that works like a charm and is very good for a hobbyist like me. The best way to look for stars and click star trails is to go out of the cities to places where there is no dust, fog, smoke and there is no light pollution. 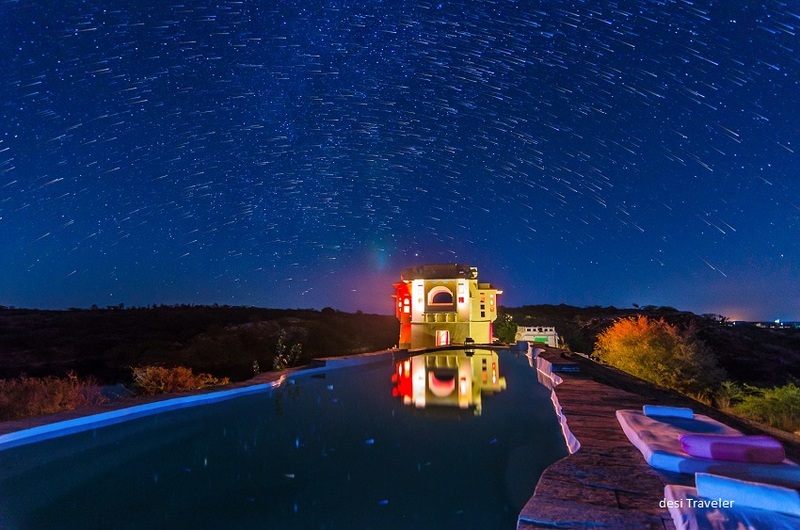 If you are wondering where to find such places then Lakshman Sagar in Rajasthan is one such place where you can see billions of stars on dark night. 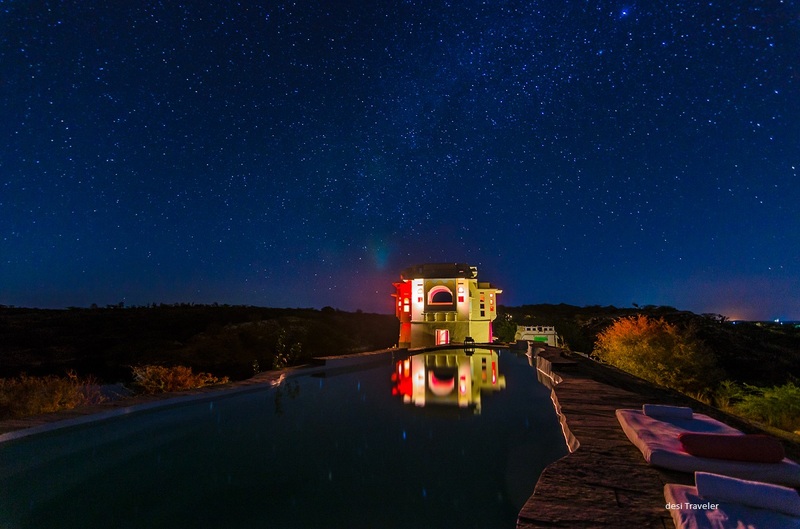 As the night falls and the cool desert air envelops you inviting you outside for a walk along the lake you realize the meaning of “A billion Star hotel”. 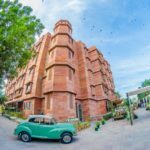 The rural Rajasthan has the most unimaginable surprise for you. Far from the polluting skies of cities, these rural hamlets go to bed and the air is crisp and cool. With not a single cloud to be, seen for miles you have the heavens to yourself. Though I am not a professional and still learning to click star trails overall I must say our experience of clicking Star Trails was a very satisfying one and I must also thank my partner in crime my blogger buddy fellow Rahi on Road Tarun Gaur for all his help in clicking the star trails. 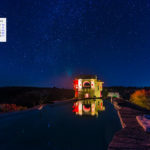 A very special thanks to the management of Lakshman Sagar, Sewara Hospitality who hosted us and provided us all possible help in clicking the star trails over and above there award-winning hospitality. 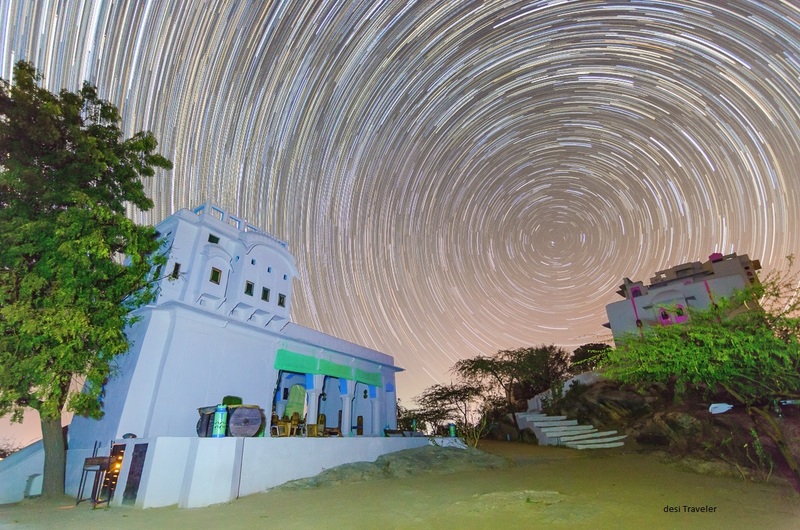 Never managed to click star trails… tried in Jaisalmer but failed…. GREAT shots!!! My! My! What a delightful treat. I would say this was a dream-come-true for you, and reading it is such a pleasure! I really loved the thorough steps…maybe one day I’ll try my hands at capturing this stunning natural phenomenon. Truly Amazing. Great place. 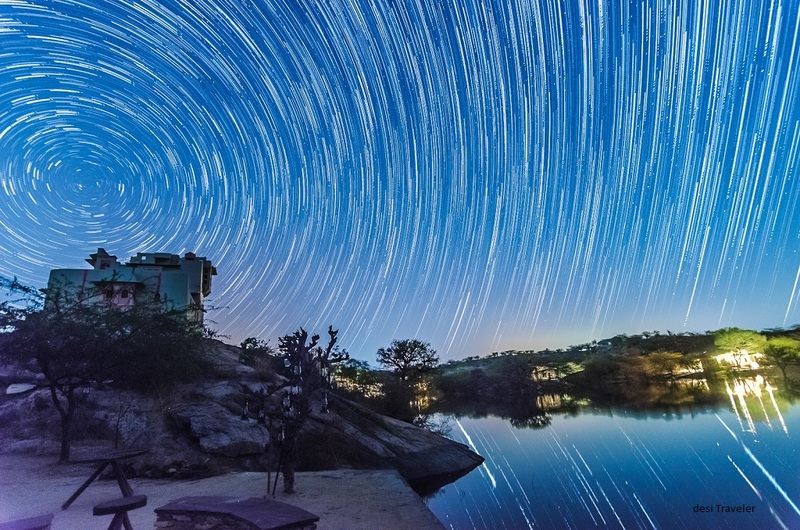 Loved Star trails clicks. Gorgeous frames of the night sky!